While the sequence of events that led to the recognition and cessation of the E. coli O157:H7 outbreak may sound quite simple, they are actually very complex. For one thing, most strains of E. coli are normal inhabitants of the Intestine and can be found In nearly any stool sample. How was this particular strain separated and distinguished from the hundreds of E. co/Z strains that do not cause diarrheal disease? It is also true that sporadic cases of E. co/i O157:H7 infections occur regularly, originating from unrelated sources. How was it recognized that these cases were connected? To identify E. co/i O157:H7 in a stool specimen, the sample is plated onto a special agar medium designed to distinguish it from strains that typically inhabit the large intestine. One such medium is sorbitol-MacConkey, a modified version of MacConkey agar in which the lactose is replaced with the carbohydrate sorbitol. On this medium, most E. co/iO157:H7 isolates are colorless because they do not ferment sorbitol. In contrast, common strains of E. co/i ferment the carbohydrate, giving rise to pink colonies. Serology is then used to determine if the colorless E. co/i colonies are serotype O157; those that test positive are then generally tested to confirm they are serotype H7. The next task is to determine whether or not two isolates of E. co/i O157:H7 originated from the same source. DNA is extracted and purified from each isolate and is then digested with restriction enzymes. Pulsed-field gel electrophoresis is generally used to compare the resulting restriction fragment length polymorphism (RFLP) patterns of the isolates.Those that have identical patterns are presumed to have originated from the same source.The patients from whom those isolates originated can then be questioned to determine their likely point of contact with the disease-causing organism. Culture methods are then used to try to isolate the organism from the suspected source. If that attempt is successful, the RFLP pattern of that isolate is then compared with those of the related cases. E. coli in feces is of no significance, unless the strain is identified as one that causes disease. Detecting strain differences is also helpful in tracing the source of an outbreak (see Perspective 10.1). The methods used to characterize different strains are summarized in table 10.5. Biochemical tests are most commonly used to identify various species of bacteria, but in some cases they can be used to distinguish different strains. A strain that has a characteristic biochemical pattern is called a biovar or a biotype. Proteins and carbohydrates that vary among strains can be used to differentiate strains. A strain that has a characteristic serological type is called a serovar or a serotype. Molecular methods can be used to detect restriction fragment length polymorphisms (RFLPs). 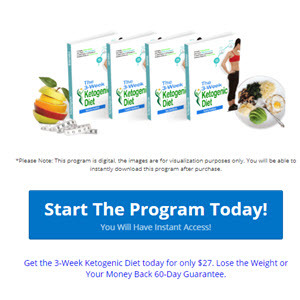 The genomic DNA is digested with an enzyme that cuts the chromosome into 10 to 20 large fragments.These are then separated using a special modification of gel electrophoresis.The pattern of sizes can be determined directly by looking at the stained gel. The genomic DNA is digested into many small fragments.These are then separated by gel electrophoresis and transferred to a membrane, which is then probed with labeled rDNA, resulting in a distinct pattern of bands. Strains of a given species sometimes differ in their susceptibility to various types of bacteriophage. 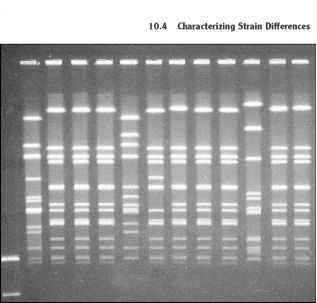 Antibiotic susceptibility patterns can be used to characterize strains. Molecular methods can be used to detect genomic variations that characterize certain strains. In some cases, these differences include genes that encode toxins or other proteins related to disease. For example, E. coli O157:H7 owes its virulence, in part, to the production of a toxin that is not encoded by most other strains of E. coli, which are normal intestinal inhabitants. The toxin gene can be detected using a probe that consists of a specific nucleotide sequence unique to that gene. Probes can also be used to detect genes that encode resistance to the antibiotic penicillin. Infections caused by organisms that have this gene must be treated with an alternative antimicrobial medication. ■ Pulsed-field gel electrophoresis This method uses a restriction enzyme that cuts infrequently along with a special type of gel electrophoresis that can separate very large fragments. Pulsed-field gel electrophoresis is used to separate these fragments, which are generally over 100,000 base pairs in length. The resulting bands can be visualized by staining the gel with ethidium bromide (figure 10.10). Figure 10.10 Detecting Restriction Fragment Length Polymorphisms (RFLPs) Using Pulsed-Field Gel Electrophoresis Genomic DNA is digested with a restriction enzyme that cuts infrequently; the resulting fragments are then separated by pulsed-field gel electrophoresis. Figure 10.11 Ribotyping Genomic DNA is digested with a restriction enzyme that cuts frequently. Southern blot hybridization is then done using a probe that hybridizes only to those fragments that have sequences encoding ribosomal RNA. Because bacteria generally have several rRNA genes, the probe hybridizes to several different restriction fragments, the pattern of which varies among strains. Disease Surveillance (PulseNet), which catalogues the RFLPs of certain pathogenic organisms. Laboratories from around the country can submit RFLP patterns to a computer database and quickly receive information about other isolates showing the same patterns. Using this database, multistate foodborne disease outbreaks can more readily be recognized and traced. 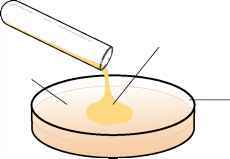 (a) An inoculum of S. aureus is spread over the surface of agar medium. (b) 31 different bacteriophage suspensions are deposited in a fixed pattern. 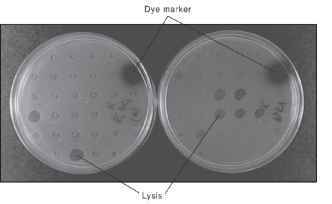 (c) After incubation, different patterns of lysis are seen with different strains of S. aureus. 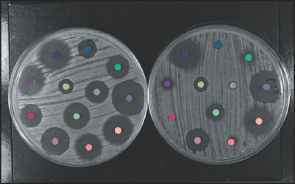 Figure 10.13 An Antibiogram In this example, 12 different antimicrobial drugs incorporated in paper discs have been placed on two plates containing different cultures of Staphylococcus aureus. Clear areas represent zones of inhibited growth.The different patterns of clearing indicate that these are two different strains of S. aureus. How would you differentiate the causitice strain from other strains of the same apecies?